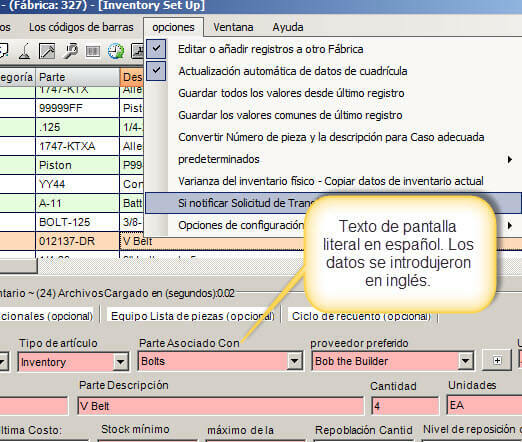 Maintenance management software that is completely translatable into any language...widely used in Mexico. 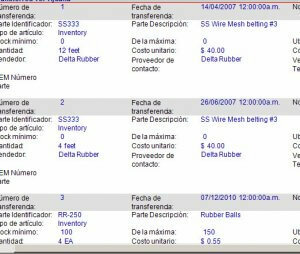 Our Spanish CMMS software system is currently used in 40 countries around the world. The reason for this is that the software is completely translatable into any language. Spanish is widely spoken throughout Central and South America. Our neighbors to the south choose our software because it enables them create their own custom text. Unlike other solutions where your are stuck with the translation provided by the vendor, with MaintSmart you have complete control over how the text is translated. 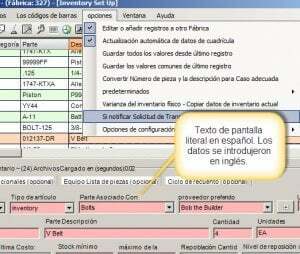 We offer a machine translation with the software if needed. Though these are rarely accurate this type of translation may provide a head start of the final translation. Below are a couple of screen shots. The data was entered in English, however the literal screen text is in Spanish (Texto de pantalla literal en español. Los datos se introdujeron en inglés). Start the program from the program desktop icon. When the login screen appears choose the language: "Spanish <country>"
For demo users click the red Administrator bypass login button. Click one of the navigation icons at the top of the screen to strat using the system. 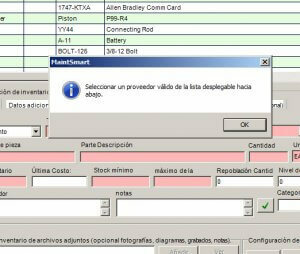 If you would like to customize your Spanish translation then proceed to the Program Configuration screen to access the translator module. 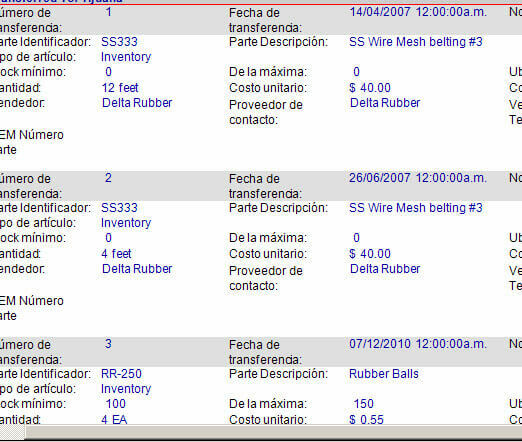 Create Your Own Custom Spanish Translation. 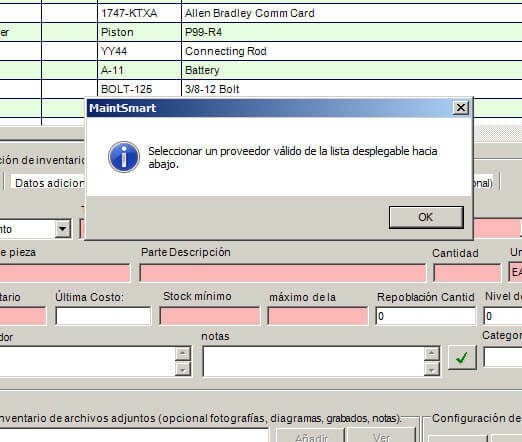 The translator software module included in the software provides a way to quickly translate the default English text to Spanish (or any other language).